Pokemon Go has taken the world by storm. 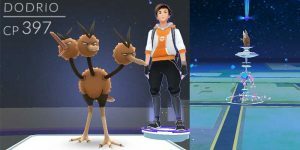 True, the game is about catching ‘em all, but it’s also about much more than that – such as battles and gyms. The first thing you need to know is to level up your Pokemon. This may sound obvious, but many trainers are playing Pokemon for their first time. So it’s worth refining the basic skills before going on to try and battle effectively. 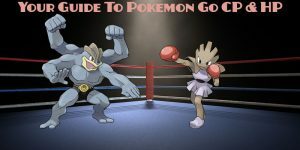 In this guide, we’re going to take you through all the tips and tricks you’ll need to train your Pokemon and battle effectively against your opponents. 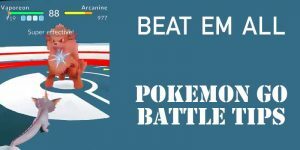 Many of these battle tips take time and practice but, with enough effort, you’re sure to knock out your foes with ease. Experience is absolutely essential. 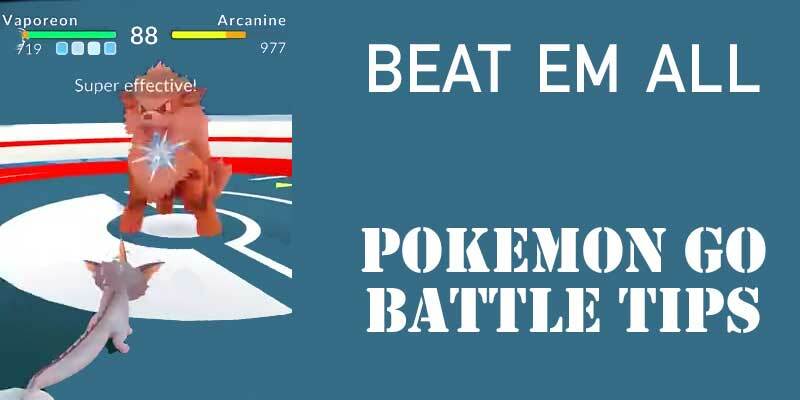 Though it does not directly affect a Pokemon battle, it indirectly influences your performance during those battles. The more experience the Pokemon trainer has, the more prepared and equipped his or her Pokemon are for battle. Think about a conventional war: would it be justified to send ill-equipped soldiers out to battle? Of course not, and the same holds true for Pokemon. There are numerous ways to amplify the experience you gain. One of the best ways is to catch as many Pokemon as possible, even if you’ve caught many of that Pokemon type before. Trainers are also advised to take care when catching Pokemon. The closer the Pokemon is to the colored circle; the more experience you gain (up to 10 extra XP per catch). You can also catch more Pokemon by using incense to attract more Pokemon to your location. The use of lures, too, can be beneficial. The act of visiting a PokeStop along can give you experience but, with lures, you attract more and more Pokemon to that PokeStop (some of which include rare Pokemon, too). Lures will also help your fellow trainers capture more Pokemon. But there are two sides to every coin. Collecting and training Pokemon is one side – and a very necessary side, too – but battling effectively is the other side. 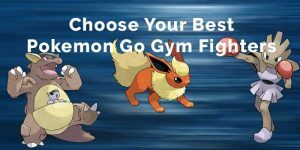 Let’s learn more about how we can enhance our ability in gyms and battles. Pokemon gyms are the places where training and battles take place. Once a trainer reaches level 5, they’ll be asked to join a team. 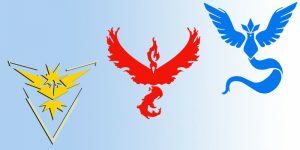 These teams are Mystic, Valor, and Instinct. By competing successfully at gyms, you can earn PokeCoins to buy valuable items. 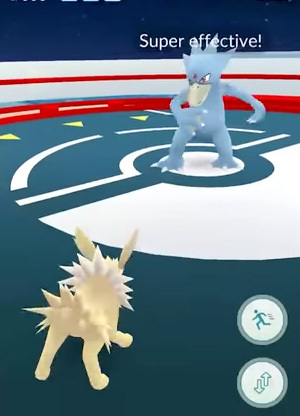 In order to unleash an attack during a battle, you must tap the mobile screen as fast as possible. However, the efficacy of your attack depends on your opponent’s Pokemon. Water Pokemon are, for example, particularly effective against fire Pokemon but not vice versa. 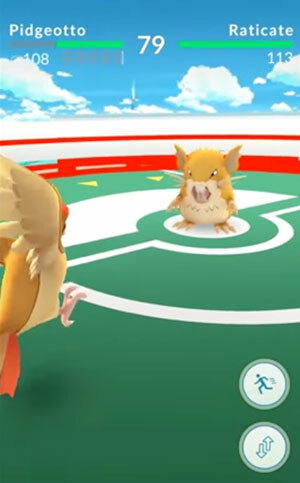 Each Pokemon can also unleash a more powerful attack, something which is achieved by holding down on the screen that much longer. 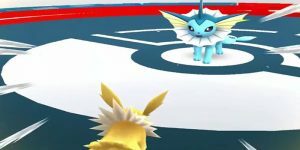 However, this move comes with risk – because if the trainer misses, they’re likely to be hit by a series of attacks by their opponent. It’s also possible to dodge certain moves, which can be achieved by simply swiping across the display screen. This is particularly useful when your opponent has decided to unleash their own Pokemon’s powerful moves. The next phase is to understand how to train your Pokemon effectively. It is to that subject that we now turn our attention. First and foremost, be sure to know where and how to fight. Look for a gym that’s owned by your team. Then, and only then, will the trainer have the ability to fight another Pokemon. Be sure to select a Pokemon that you believe has the best chance of winning. After all, if you lose, you leave empty handed. The more Pokemon you defeat; the more experience you gain. The gym, too, also receives greater prestige. But as well as training Pokemon at your own gyms, it might also be worthwhile to attack other gyms. The key to attacking other gyms is to wipe out that gym’s prestige. At that point, you can then deposit your Pokemon inside that gym as defenders – something that also comes with receiving extra PokeCoins. You can also take over that gym should their prestige reach 0. 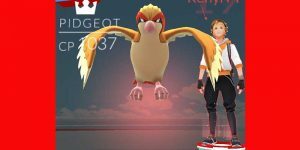 It might not be possible to eliminate the gym in one go, it usually takes several tries – particularly if you’re only just used to how Pokemon Go works. Nonetheless, be aware that you can switch Pokemon at any time, and to use this trick to your advantage. A Pokemon battle isn’t only about the power and potency of the given Pokemon, but also how each trainer uses items, too. The intelligent trainer knows exactly what material they have in their arsenal and, more importantly, knows how to use it wisely and effectively. Be sure to have an adequate stock of items such as potions and revive. Only use these items when you absolutely have to. There’s no point wasting valuable items. Try to think 2-3 steps ahead as to when you’re likely to use them. Think about the strength of the opposing Pokemon and the likely damage it can inflict. This should give you some reasonable idea. However, prevention is always better than the cure, so be sure to use the techniques above to increase the physical standing of your Pokemon. So there are six key themes for battle tips in this guide: to level up, to improve the strength of your Pokemon, to gain experience quickly and effectively, to keep a healthy reservoir of items in your backpack, to know how to battle, and to participate within and among gyms. 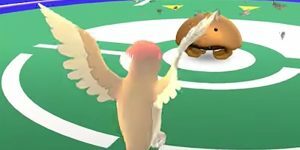 Follow these six themes and you’re sure to become the Pokemon master you have always aspired to be!